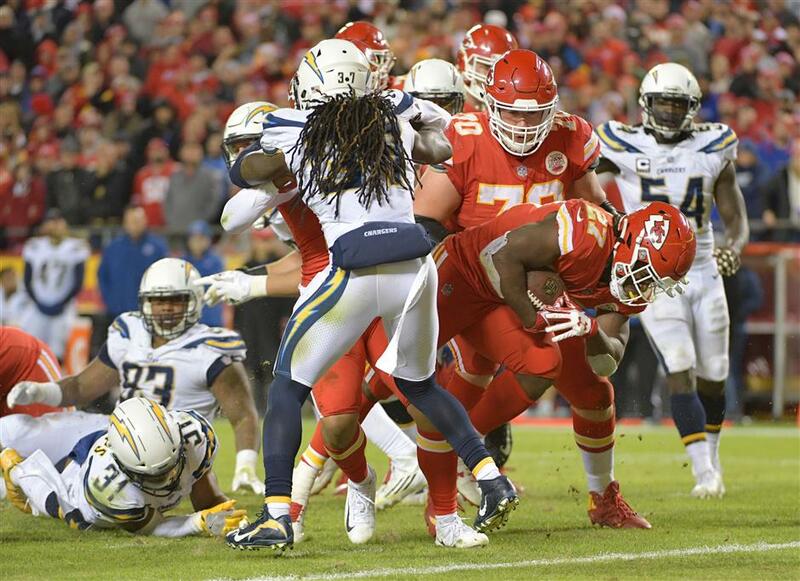 In addition to their one-game lead over the Chargers, the 8-6 Chiefs own the tiebreaker after winning both regular-season games against Los Angeles. Kansas City Chiefs running back Kareem Hunt scores a touchdown during the second half of their NFL game against the Los Angeles Chargers at Arrowhead Stadium in Kansas City, Missouri, on December 16, 2017. The Chiefs won 30-13. The Kansas City Chiefs closed in on the National Football League's AFC West divisional title on Saturday with a 30-13 victory over the Los Angeles Chargers. The Chiefs and Chargers came into the contest tied atop the division, but the win — before a raucous crowd at Arrowhead Stadium — left Kansas City needing just one win from itslast two games to clinch the crown. Chiefs running back Kareem Hunt rushed for 155 yards and a touchdown on 24 carries. He added seven catches for 51 yards and a TD. Quarterback Alex Smith connected on 23 of 30 passing attempts for 231 yards and two TDs. Quarterback Philip Rivers rallied the Chargers from an early 0-10 deficit, putting his team ahead early in the third with a 10-yard TD pass to Antonio Gates. Rivers finished 20-of-36 passing for 227 yards and a TD but was intercepted three times. Detroit Lions tight end Eric Ebron scores a touchdown as Chicago Bears inside linebacker Danny Trevathan applies pressure during the third quarter of their NFL game at Ford Field in Detroit, Michigan, on December 16, 2017. The Lions won 20-10. In Detroit, the Lions kept their NFL playoff hopes alive with a 20-10 victory over the Chicago Bears. 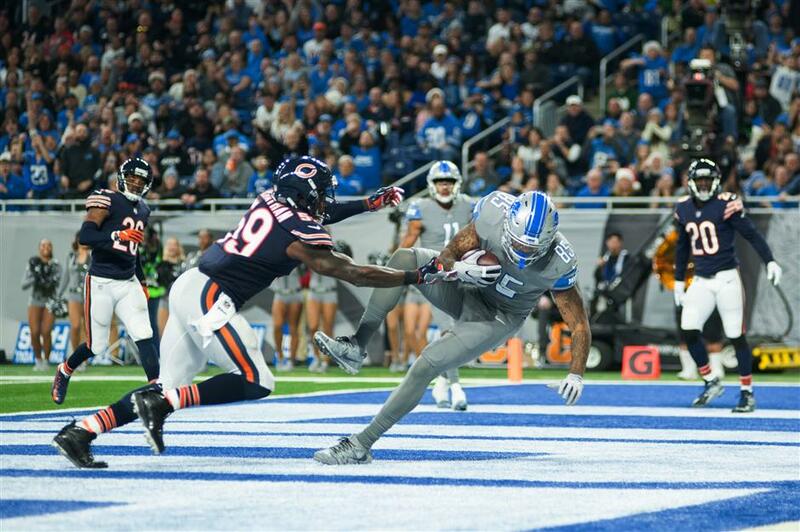 Matthew Stafford threw two TD passes and tight end Eric Ebron caught five passes for 33 yards and a score for the Lions, who improved to 8-6. While Detroit remained in the hunt for an NFC playoff spot, it'll need to win its last two games — against Cincinnati and Green Bay — and have some help from other teams in the NFC wildcard race to get there. "That's not our focus," coach Jim Caldwell said. "We don't talk about that stuff. Our focus is on one thing — Cincinnati. That's it." "Our defense played incredible today," Stafford said. "You go out there and get those turnovers, that's what we feed off of on offense, more chances.